We Offer A Complete Interior & Exterior Painting & Decorating Service In The North Wales & North West Areas Covering All Aspects Of Domestic Painting & Decorating. Commercial Properties Including Rentals For Estate Agents And Private Landlords, We Also Have A Portfolio Of Our Own Private Properties As Private Landlords. This Method Can Really Make A Big Impact On Any Job Simply Due To The Speed Of This Method Especially New Builds Where New Plaster work Or Block work Is Present. What You Can Expect From A Spray Job: Do Trades Take Care Of The New Paintwork ? It does come with a slight downfall where touching up later may be required to the spray finish where any damages have been made, This has to be done with due care and attention using a thinned out 70/30 paint and water ratio mixed together to blend in with the existing spray finish. We always recommend to later further prepare wall where necessary to pick up any imperfections to the original plastering and re-paint just the walls again using traditional roller and brush method to ensure a solid bodied more durable finish. To Learn More About Our Airless Spraying Please Visit Our Page On Airless Spraying Here. All Types Of Wallpaper Hanging To Include – Muraspec – Vinyl Paper – Embossed wallpaper – Lining Paper – Patterned Papers, There Are No Limitations At All On Our Wallpapering Services, We Hang Any Type Of Wallpaper To A High Standard Having Over 20 Yrs Experience. We Cover All Aspects Of Exterior Decorating – Masonry – Fascias & Soffet Boards – Wooden Windows & Doors, We Highly Recommend Using The Dulux Weathersheild System Where Required For A Longer Lasting Finish. We Cover All Aspects Of Interior Painting & Decorating Finishes To A High Standard. Our work is displayed in video slide format on our gallery along with pictures, we provide a link to our facebook page where most of our recent work is posted on a regular basis. Please View Work In Our Work Gallery Here. 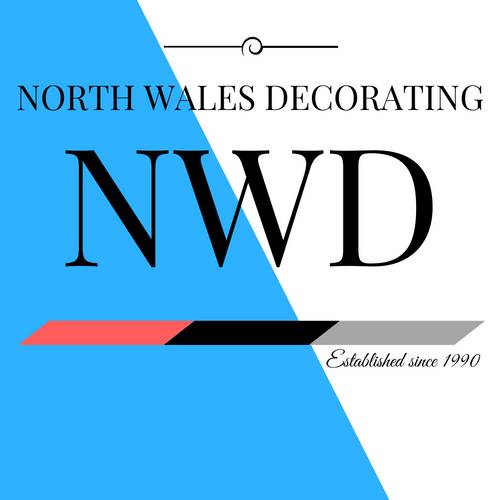 A big thanks to the team at north wales decorating,first class job!